Kids are the angel of our family. That is why many parents will do anything to please them, and one of it is give them their own bedroom. When decorating their space, creativity and effort is needed. For the material of the furniture, wood is the best one. Make sure that the furniture does not have sharper edges. Give their space a fresh feeling and play with the color combination. 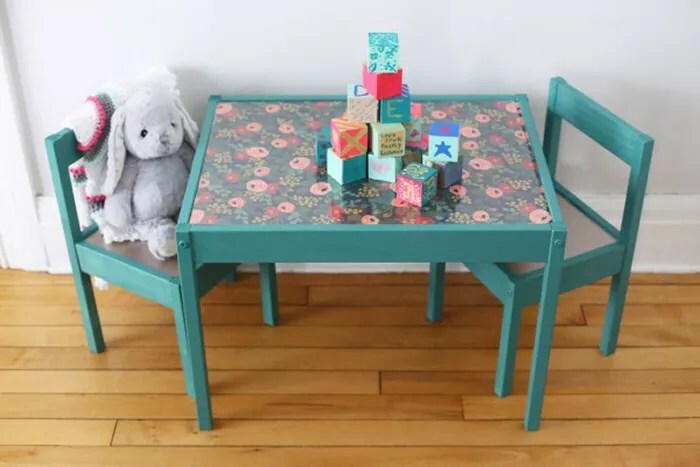 Now check out these 10 DIY that you can make for your kid’s bedroom to get the best space that will pleasant your kid below. 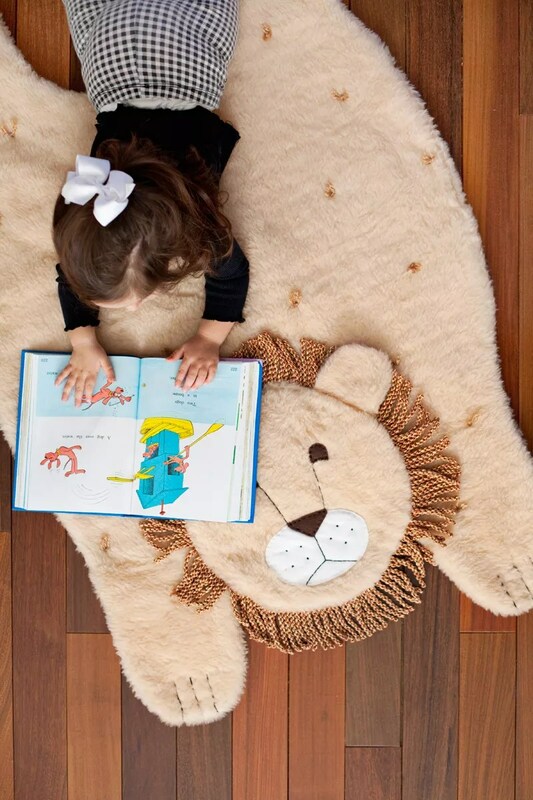 Give your kid an adorable plush animal mat for them to play on the floor. 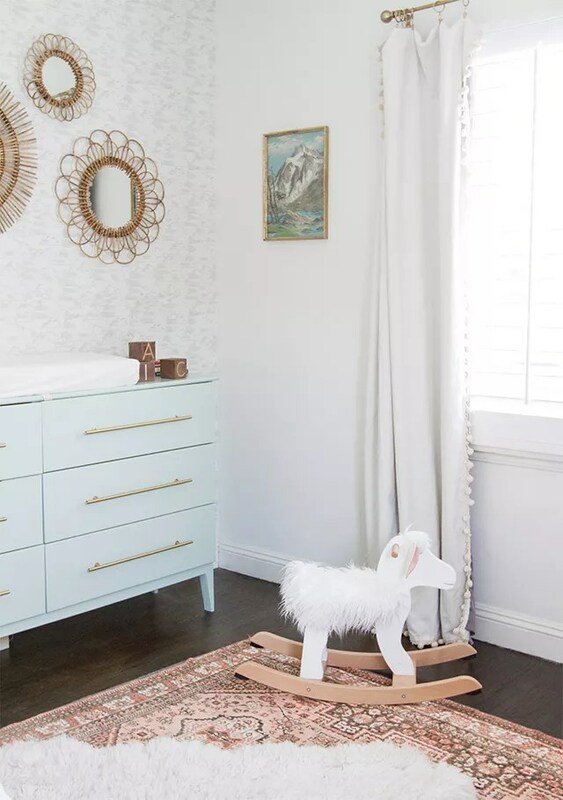 With a bit of sewing, you can make an animal rug out of furry tan fabric and some upholstery fringe. 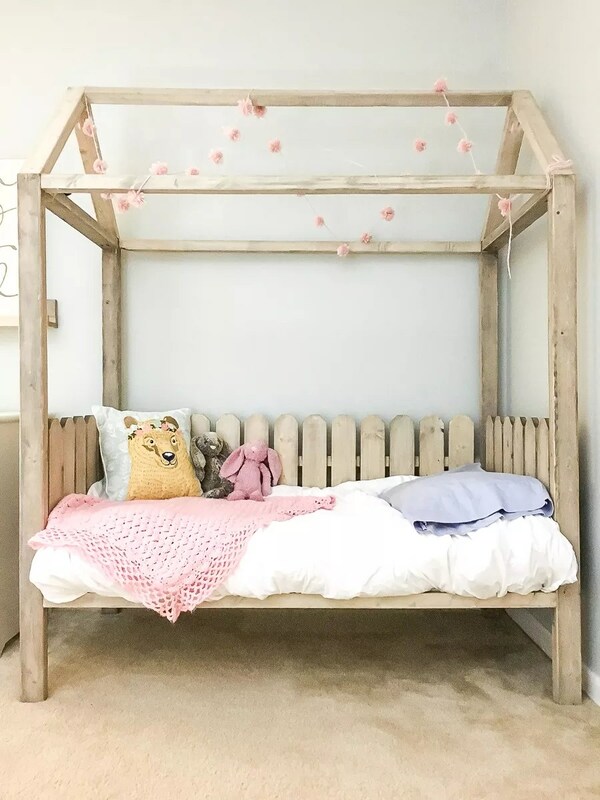 This clever DIY bed is perfect, as it can be used as a play house during the day. It’s also a clever twist on the traditional canopy bed and will look great in any kid’s room. Add some extra space by making this project. Prepare a wood and glued some plastic animal toys as a hooks to store their clothes or bags on the wall. 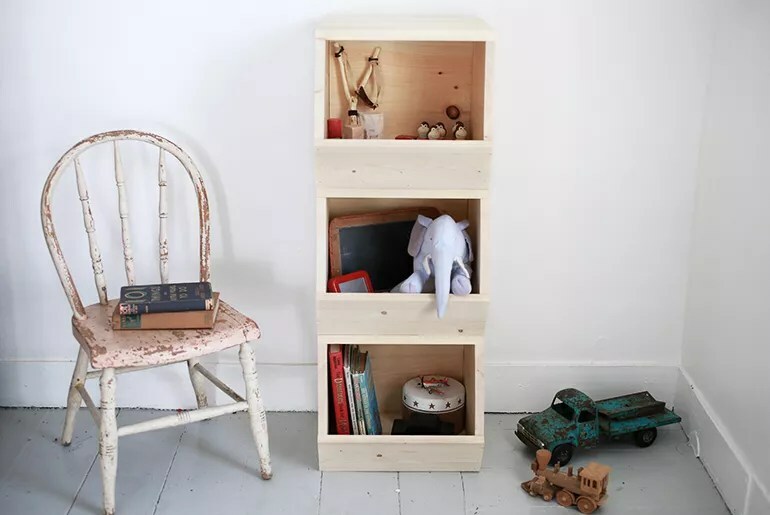 Make this bins from wood and you can use it to store their toy in a stylish way. Make this project, so your kid can play around with friends in their own space. If your kids love to draw, this project is the best for them instead of drawing on the wall, everywhere. Do not throw away the crates. 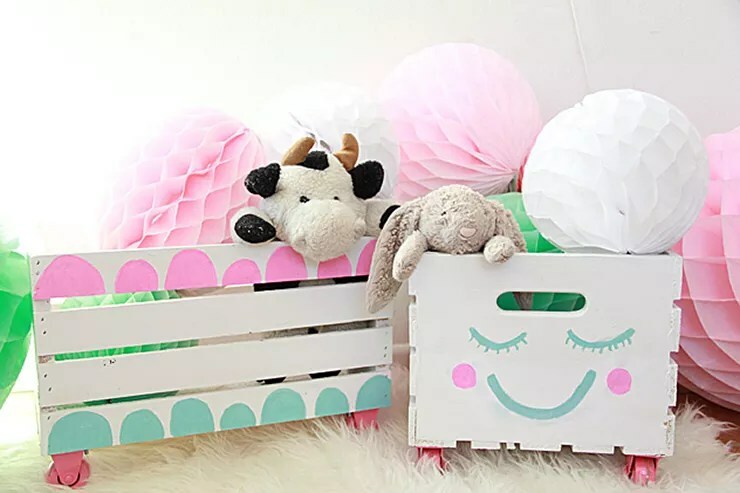 Paint them into something cute and use them as your kid’s toy storage. 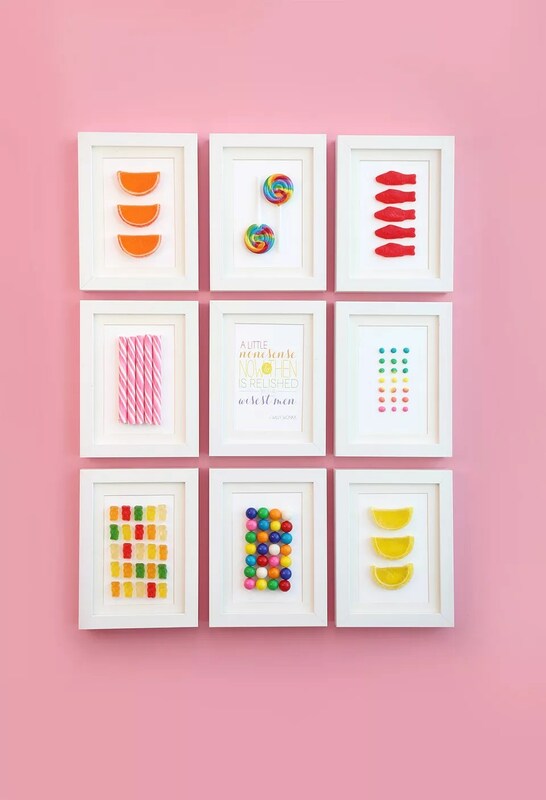 Beautify the wall with this easy but cute framed candy. Give a fresh look to IKEA’s rocking moose by turning it into a furry rocking sheep instead. 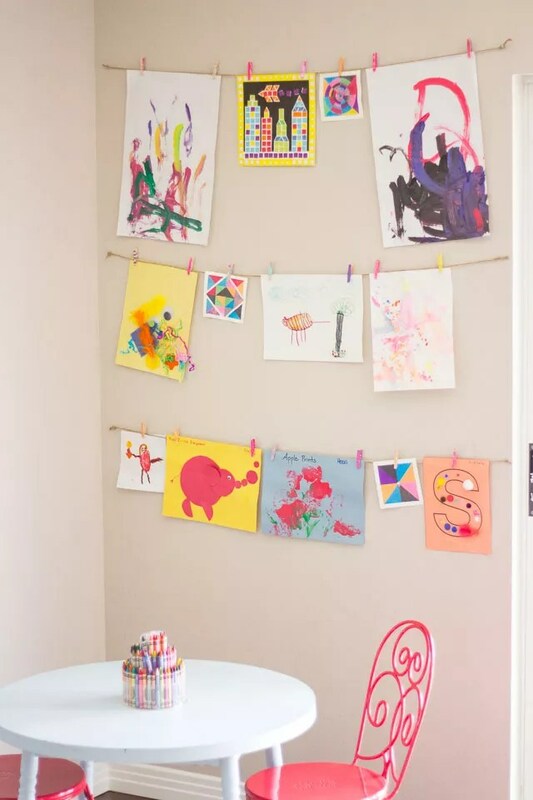 Appreciate your kid’s art by making this DIY project. 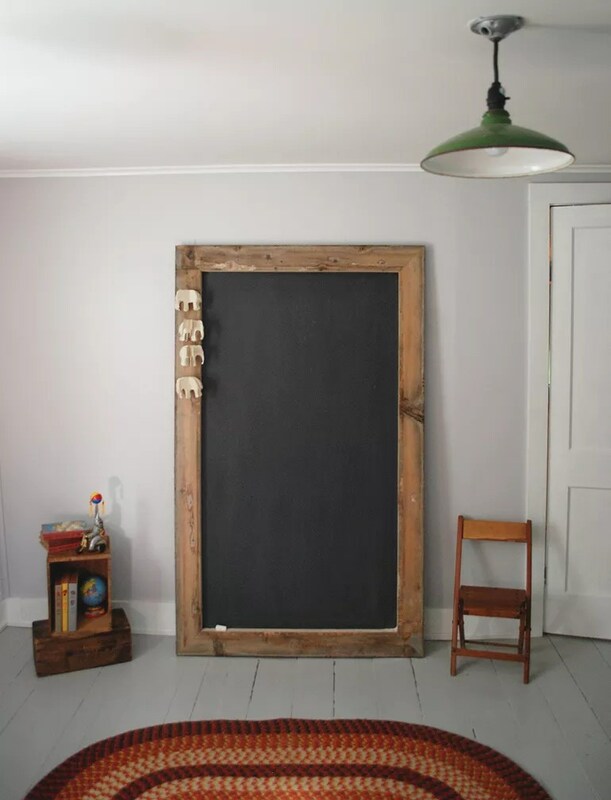 Hang a rope on the wall and use a clothes pin to hang the art.